Tomorrow’s meeting mediated by IBEC and ICTU could help resolve the ongoing dispute between management and cabin crew. A MEETING BETWEEN AER LINGUS and the Impact trade union tomorrow could bring a breakthrough in the ongoing industrial dispute by cabin crew. Cabin crew represented by Impact have been engaged in a dispute with management over the introduction of controversial new rosters at the airline. Yesterday, the airline cancelled 14 flights and today it cancelled 18. it has also been leasing aircraft and staff from Ryanair to carry out its scheduled flights. The cost of this leasing has not been announced by Aer Lingus, but Impact claims it could be as high as €400,000 a day. RTÉ reports this evening that IBEC and the Irish Congress of Trade Unions (ICTU) have invited Aer Lingus and Impact to meet tomorrow at a venue and time to be confirmed for mediation in the dispute. The invitation has been accepted, but no further details are available. This morning, RTÉ reported that one in five cabin crew members have been taken off the payroll as a result of the dispute. Staff are currently engaged in disciplinary procedures which could see them fired. Email “Aer Lingus meeting may see breakthrough in dispute”. 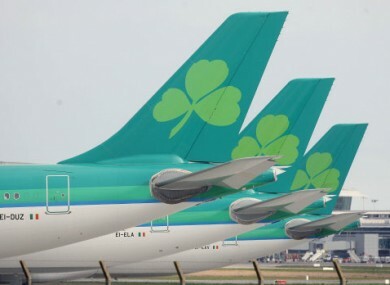 Feedback on “Aer Lingus meeting may see breakthrough in dispute”.